Thanks the girls for being your bridesmaids on the sweetest day in your life with some bridesmaid thank you gifts. 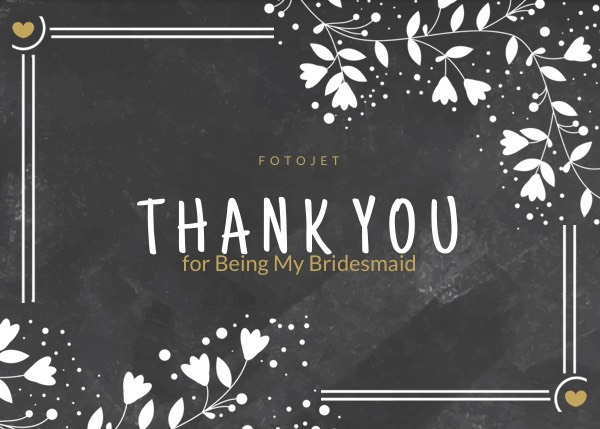 If you have no ideas, just let your bridesmaids feel appreciated with some DIY bridesmaid thank you cards, which will be fairly thoughtful. You are welcome to replace the background with preset images or your own photos, change the font styles for the thank you message. With our editing choices, you can also transform this thank you card template into some personal designs. There are so many design possibilities for you to explore!